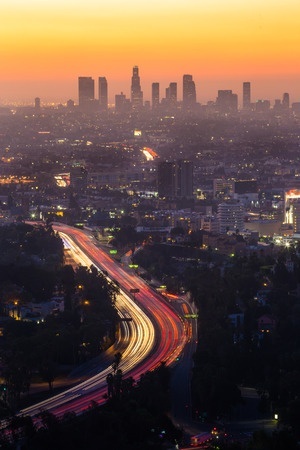 Every day people are injured or killed in vehicle accidents on the freeways, highways and roads in Fullerton and throughout Southern California. These accidents can take a significant physical, emotional and financial toll on the victims and their loved ones. Our law firm represents clients in a wide variety of personal injury cases involving automobile accidents and collisions. Following an accident, it is important to immediately consult with an experienced lawyer to ensure that your rights are protected. Crucial evidence could be lost and witnesses' memories fade if we do not complete a prompt and thorough investigation. If you have been in an auto accident in Fullerton, CA or any other major thoroughfare in Southern California, Moseley Collins is here to help you get the compensation you need. Our firm was founded over 30 years ago by Moseley Collins and we have the knowledge and resources to go up against the insurance companies and get you a fair settlement. Have You or a Loved One Been Injured in an Auto Accident in Fullerton, CA? Call 213-444-4444 to speak with a car accident attorney now. FULLERTON, Calif. (KABC) -- All lanes of the 57 Freeway in Fullerton are back open Thursday after a lengthy closure due to a fatal multi-vehicle crash involving a big rig. According to CHP, the big rig was traveling on the southbound side when it blew its front left tire, lost control and veered across all southbound lanes and collided with a Honda Civic. Then, both the big rig and the Civic crashed into the concrete center divider. As a result of this impact, a forklift on the back of the big rig fell off, crossed into northbound lanes and crashed into three cars. 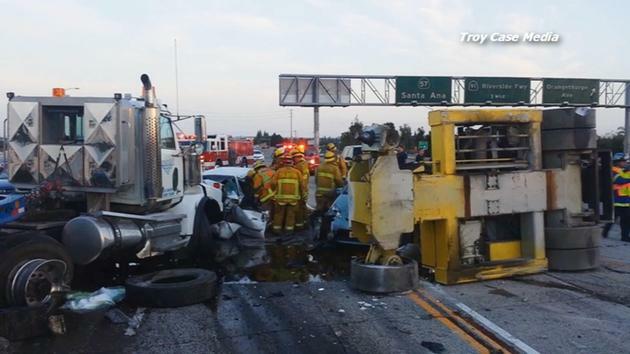 The big rig continued to move into the northbound lanes and collided with a Honda Accord. The driver of the Accord, described as a white male in his late 20s, was killed in the crash. Also, three other cars were struck by debris from the incident, which makes the number of vehicles involved in the incident nine. According to CHP, a total of seven people were transported to local hospitals with moderate to minor injuries.